Richard H. Weise , age 83, died of natural causes, respiratory arrest on January 27th, 2019, in Scottsdale, AZ. Richard is survived by his son, Steven Weise, of Florida; He is preceded in death by his loving and devoted wife, Virginia (Ginger), of Scottsdale, AZ; his Daughter, Kimberly Ann, of Mesa, AZ; and his son, Richard (Ricky), of Gilbert, AZ. Richard was born on April 5th 1935 in Davenport, Iowa, to parents Frank Roe Weise and Leontyne, Theresa Neiger (Jane). He graduated from Depauw University undergrad and Northwestern and DePaul law school. in with a degree in law. After college, taught English in Alaska and then moved to Chicago Illinois and accepted a position as an attorney at Kraft and Sealtest and ultimately General Counsel, Secretary and Treasurer for Motorola, where he worked for more than twenty years. Richard was a great provider and loving husband and father. He married Virginia Lee Armstrong and the couple had three children together, including Kimberly Ann Weise, Richard R. Weise and Steven Armstrong Weise. Richard was not a very social man but was deeply involved in the practice of corporate law and teaching for the majority of his life. He enjoyed snow skiing, sailing on cruises, and annual family vacations. His family and friends will always remember him as a highly intelligent, well organized and thoughtful person. 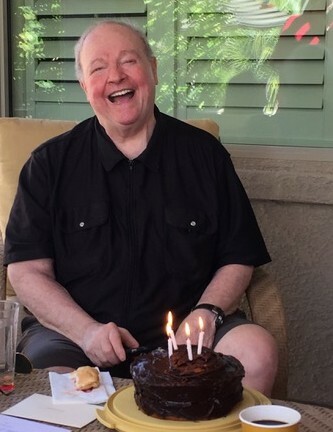 A funeral is scheduled for Richard on February 23rd, 10am, at Christ Church of the Ascension, 4015 E. Lincoln Drive, Paradise Valley, AZ 85253, with a reception to follow at the church fellowship hall. Father Daniel will officiate. All are welcome to attend and celebrate Richard’s life. The family would like to thank all who are able to attend and in lieu of that, understandably those that contributed significantly to his colorful life. Flowers can be sent to the church and donation to charity would be preferred to juvenile diabetes (which was the cause of death for his daughter Kimberly).